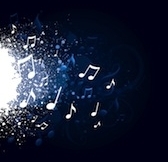 The article outlines six areas in which on-demand streaming services could improve their value proposition: better metadata display, using tools or apps to drive interested listeners to higher-value actions, giving artists and their managers access to anonymized data about listeners, empowering discovery through a more holistic treatment of metadata, the benefit of giving musicians more control over how they monetize their online presence, and encourgaing on-demand services to embrace transparency and equitable payments to rightsholders. Read the article for expanded thoughts about each of these. Despite over ten years of development and growth of various on-demand streaming and subscription services, we are still at the early stages of these digital platforms. The music services that will win, in the long run, will be those that satisfy users and musicians. Platforms will transform and adopt new features to stand out in a busy marketplace and, hopefully, entice more customers. But it will also take continued pressure from musician and songwriter advocacy groups to ensure that services do not just treat music as a crowd-gathering mechanism. We need to work together to propose practical solutions that recognize musicians’ and songwriters’ value.